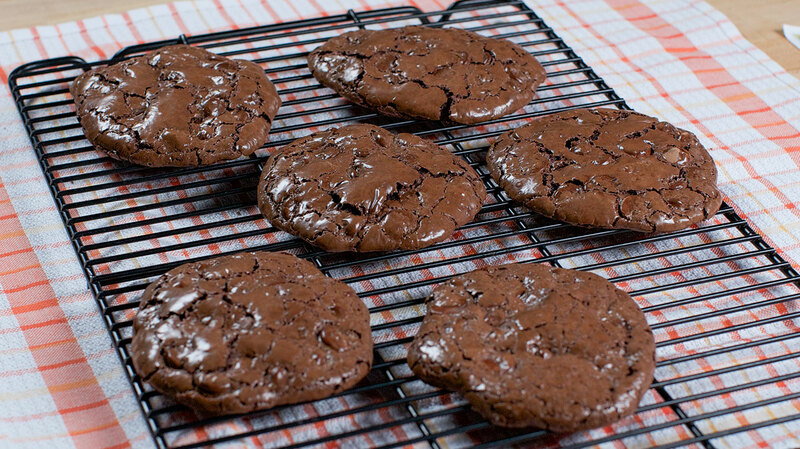 Bright orange flavor and melty chocolate with a chewy texture is all you need for the perfect gluten-free cookie! 1 tsp Amoretti® Orange Zest Oil Extract O.S. In a large bowl, whisk together sugar, cocoa, and salt. In a separate bowl, lightly whisk egg whites and Orange Zest Oil Extract together, then add to dry ingredients and stir just until incorporated (do not overmix). Drop dough by ¼ cupfuls, 3" apart, onto two parchment-lined baking sheets. Bake until cookie tops are dry and crackled, about 25 minutes, rotating sheets halfway through. Transfer sheets to wire racks and let cookies cool completely.